Alright, we all know the deal here. The fantastic Becca and KC went through the clip links thread and compiled all the links that were still active. That was a huge task and they rock for doing it. I have now sorted them into episodes and will add the clips to episodes as requests are fulifilled, not as difficult but it took forever So now they people in need of a clip and check the links by episode and find what they want faster. 1. So people can more easily find the clips they need. 3. So active links can STAY active because people know where to look to find them. Many of these sites, like mediafire for instance, will keep the links up for as long as people are using them! That's about it so enjoy you're vidding!! Sawyer & Shannon "Light, sticks."" 10. 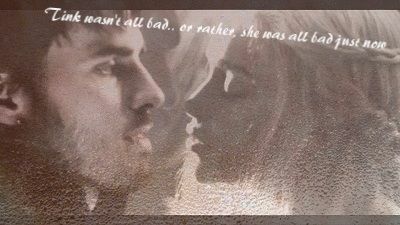 Raised By Another - ALL CLAIRE SCENES/FLASHBACKS CAN BE FOUND ON MY SITE HERE. PLEASE DON'T REQUEST THEM. THEY WILL NOT BE UPDATED HERE. 15: Homecoming - ALL CHARLIE SCENES/FLASHBACKS CAN BE FOUND ON MY SITE HERE. PLEASE DON'T REQUEST THEM. 20. Do No Harm - ALL CLAIRE SCENES CAN BE FOUND ON MY SITE HERE. PLEASE DON'T REQUEST THEM. Here are a few more clips for you to add kat. (keepin you busy) . im pretty sure everyone should know that 'group hike is sawyer,kate,boone,shannon,sayid and charlie. EDIT - I've sorted through them and updated the links so dont you worry about it thanks again for getting them, Nat! Wow Kat, you friggin rock! That must have taken a long time to do! Will help a lot of people with clips. i wasnt that one to get them, that crown belongs to KC and Becca. i just put them in episodes and update them when ppl put new clips up. its oddly fun, actually thanks though! This is an amazing thread, thank you so much! Hi - Does anyone know where I can find the clip of Jack crying in White Rabbit and hitting his dad's coffin? I have it in real media, and someone tried to help me convert it, but it's not working. Can someone please help me out, I'm desperate. Also young Jack getting beat up doesn't work when you open it. OMG, people keep asking for that clip of Jack crying and I keep giving it!! and then they keep asking again! lol I feel so useless. Go look in the last page of the clip request thread. I need it in WMV format. I was the one that asked you for it, and then you showed me how to convert it, but it didn't work. I'm getting desperate.